Whilst it is very important that everyone needs to learn how to read and write and as a school we must teach that. 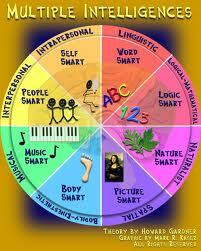 Sowilo also focuses on the multiple intelligences that every student brings to school. Just because students may not know how to write an answer to a questions it does not mean that they are not intelligent or academic, students may be able to show or talk about it. Sowilo believes in enhancing these multiple intelligences and showing to students that they do have knowledge and understanding about subjects and that writing it down is only one form of intelligence. Our lower school and whole school programs focus highly on the ability for students to illustrate knowledge in the various forms of multiple intelligences. We have a large range of programs that are hands on, different and very intersting. In the Tab above in the lower/whole school section you can click on a subject and see the links to education that we create to enhance life learning through a more fun and whole approach. Students years 8,9 & 10 at Sowilo, undertake Australian Curriculum studies that span across the 8 required learning areas. The successful completion of these subjects open up a wide variety of TAFE courses. When students have a particular course they would like to study after their time at Sowilo our teachers work with the student to map out the requirements they will need for entrance requirements.